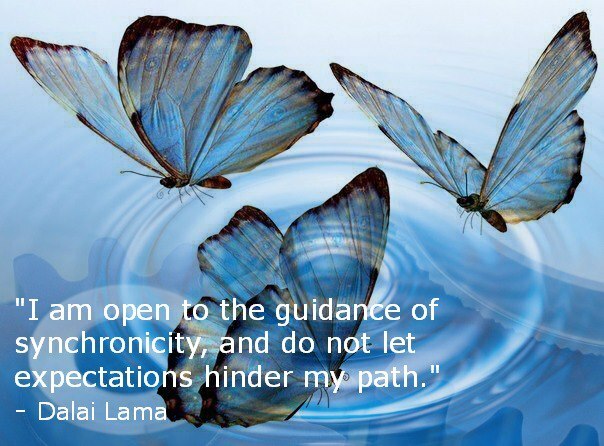 More than anything else, synchronicity is about meaning. Though it makes no sense on a purely rational level, the felt experience of synchronicity makes undeniable sense. It is often something that will be remembered long after intellectual appreciations have faded away. 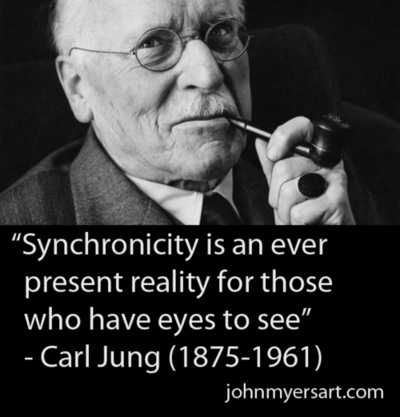 Synchronicity connects with a web of understanding that Jung relates to the collective unconscious. It is as if a message pops to the surface, or as if something on the periphery, has, for a moment, become central. 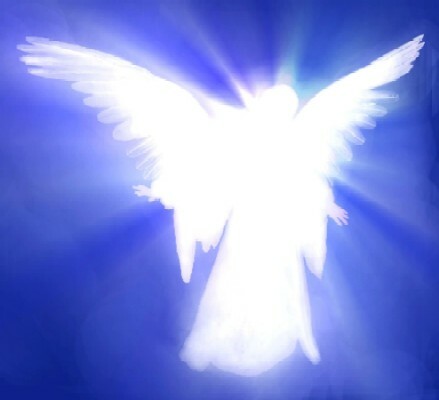 My waking experiences of synchronicity are usually surprising and quite gentle; an ‘aha’ moment; hence the verb ‘pops’. If I am in a dreaming space however, feelings can be powerful enough to wake me and then the coincidences pack a punch. Words seem unable to contain the meaning or mystery of the coincidence because rationality is insufficient. Images, stories, bodily experiences, dreams – much more the stuff of the right brain, are the usual containers. Ideas about angels, messengers of the gods in Greek myths, or visitations are ways of trying to imagine or picture messages from the unconscious; attempts to capture both a spiritual as well as a physical polarity of the meaning. I haven’t given any examples because translating into words makes the experience sound derisory – is that all? As a society, we are in danger of losing our connection with the mythic level of the unconscious. We have few shared stories between us and when the narrative thread or grand vision gets lost or fragmented, we are in danger of falling into depression and despair, both culturally and personally. Individuation can only happen when both the conscious and the unconscious are allowed expression. Synchronicity touches the surface as it activates the depths, enabling us to catch sight of something and follow the linking threads. There needs to be a creative interplay between the different levels of surface and depth, what Jung called the ‘transcendent function’, which is the capacity to link the two, thereby enabling the treasures of the depths to be brought to the surface, or in other words for the unconscious to be made conscious. Meaning is both created and found so that when one is subject to synchronicity, it seems both intensely personal and subjective – tailor made – as well as having an objective truth to it or an existence of its own. We then feel part of a bigger picture, though it is not fully understood. It requires a faith in the unseen, but experience of it is deeply satisfying, confirming that life makes sense and is purposeful. Synchronicity confirms one’s place in the scheme of things, and the heart which may have been missing before, now feels to be in place. It is an expression of a deeper ordering of life, of which we are a part. The scintillating hint of a greater wholeness feels true and right and is very life-affirming and spiritually awakening.